The CD24 antigen is a glycosyl-phosphatidylinositol-linked membrane sialoglycoprotein, with a molecular weight of 35-45 kDa. 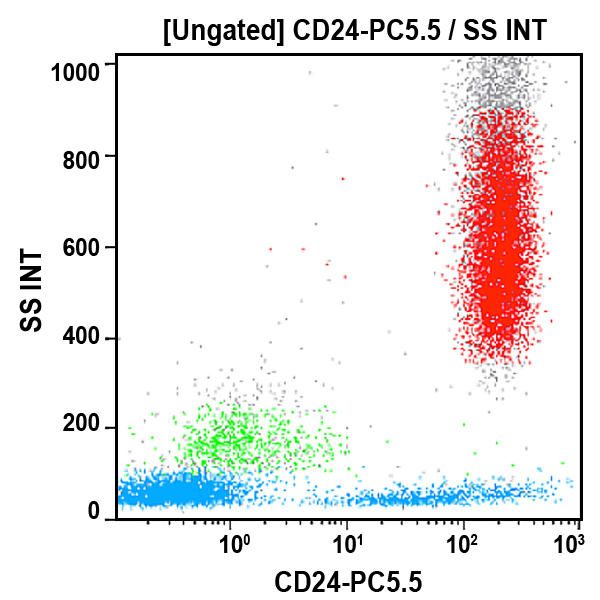 CD24 is present on B cells, from the pre-B to the mature B cell stage, but not on plasma cells. It is expressed on mature granulocytes and on a variety of epithelial cell types.